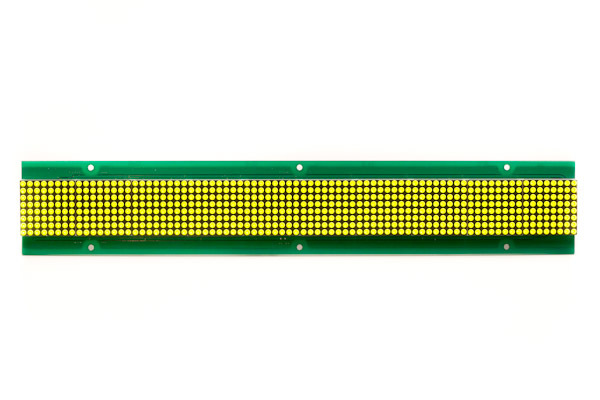 The LDP-8008 is a dual-LED, tri-colour 80 pixel by 8 pixel LED matrix display. Each pixel consists of a red and green LED (commonly referred to as “1R1G”). 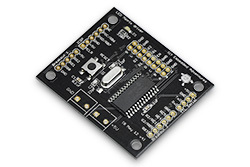 There are 640 pixels and 1280 individually addressable LED elements. 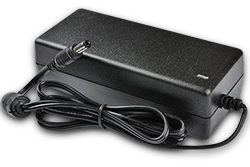 It includes shift-register circuitry such that all 1280 LEDs can be controlled with only 10 microcontroller I/O lines. 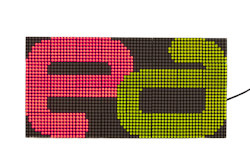 Pixels can show as black (that is, completely unlit), red, green or orange (red+green). 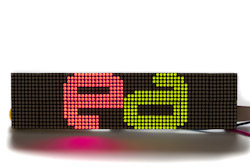 These panels can be daisy chained horizontally to create a longer message display board. 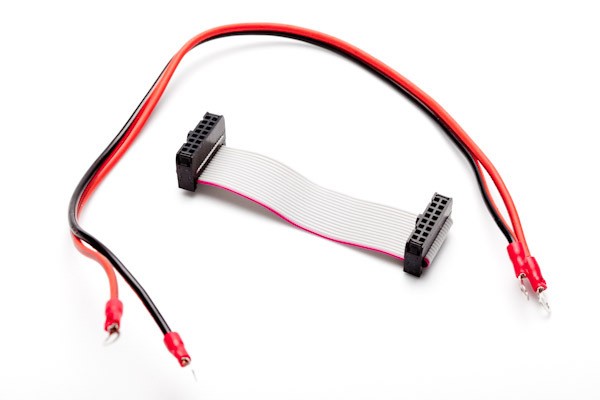 The board comes with a 16-way IDC connector and power cable.